The internet of things (IoT) keeps growing—with projections of $10-plus trillion market potential over the next decade—and Adventech, a global provider of industrial computing products and services, is trying to help systems integrators get their share of the expanding pie. 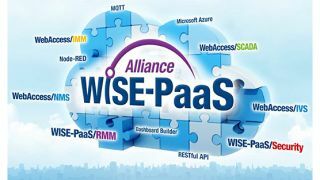 The company recently launched the WISE-PaaS (which stands for “Wireless IoT Solutions Embedded-Platform as a Service”) Marketplace, a portal with consolidated access to the company’s software solutions for IoT. As it exists now, the marketplace offers integrators with a suite of software tools to implement IoT solutions using Advantech’s extensive breadth of computing products and sensors, as well as sensors from companies like Texas Instruments and Bosch. But the goal of the marketplace is to eventually enable integrators to sell their own tailor-made services directly to clients. These offerings, available now, utilize partnerships with companies like Microsoft, Acronis, Intel Security-McAfee, and ARM mbed to tailor solutions for a range of applications, from industrial automation to web-based digital signage content management. Currently, the IoT software services on the marketplace cover three categories: cloud services, security services, and platform services. Among the latter category, Advantech offers WISE-PaaS/RMM, a cloud-based, remote system-monitoring tool; WebAccess/IMM, a cloud-based digital signage content platform; and WebAccess/SCADA, an application software program related to industrial automation.